The Florida Association of Realtors released official numbers, and as expected the number of sales were down, but fairly steady with last year. We predicted in last week’s article they’d be right where they are. We also said last week that we didn’t study the sales prices, but that we wouldn’t be surprised if we saw them rise again in January. Perhaps we should have studied those numbers because they did not rise, they actually fell 3.86% from last year’s numbers and fell 4.32% from December’s numbers. We can’t put too much emphasis on one month’s numbers, especially January numbers because there was a flurry of activity in December to get homes closed by the end of the year. Many sales have stalled or pulled due to title issues. We’re just now getting a few listings back from the banks in the higher priced end that were stalled due to this, so this can have an impact on closings and prices temporarily. Just the same, we half expected prices to rise again as we believed fewer sales would equate to rising prices. Because more of the foreclosure sales in the past have been in the lower price points, fewer foreclosure sales means the median sales prices gets pulled up from the top and pushed up from the bottom. This evidently did not occur. It is possible that as more short sales went through they were in the lower price points. It is season now and we have pent-up sales and rising pending sales, so again going forward we will not be surprised to see rising prices. In fact last year this happened as evidenced by the chart. This past week we attended the News Press Market Watch National Association of Realtors Chief Economist Lawrence Yun gave some insightful statistics that may impact the US and SW Florida markets. He expects interest rates to hit 6% by the end of the year and 6.5% sometime in 2012 as rising deficits lead to inflation. Mr Yun still believes we will see 50-60% distressed sales in the SW Florida real estate market this year, and we have 2-3 years total before all foreclosures are worked out of the system. If President Obama enacted an elimination of the mortgage interest deduction it would have an immediate effect of lowering prices nationwide by 15%, and our economy doesn’t need another big hit from real estate. He expects about 3% GDP growth and unemployment to be around 9% in 2011 returning to a normal 6% by 2015. Businesses are making money, but they’re afraid to hire due to uncertainties with new health care costs and banks aren’t willing to lend to businesses due to blank pages written into new banking rules. By blank pages he referred to pages that state a future committee will determine actual rules, so banks are hoarding cash and not lending. Mr Yun says Washington DC is to blame for businesses not hiring due to uncertainty. If we could give certainty back, business may hire more quickly, and this would speed up time lines for recovery dramatically. For instance, we’ve lost 8 million jobs since Obama took office, and in 2010 we created 1 million jobs. 1 million jobs is pretty good, but nothing compared to what we lost. At this rate we’ll create 2 million jobs in next 2 years, but we’re still way down from levels just 2 years ago. If we could speed up businesses hiring, we could speed up the recovery, which would help real estate. Wall Street is doing OK as we’re seeing record profits, but no motivation to hire due to Washington. Sales are near record levels. To put this in perspective, in 2001 we had 376 single family home sales. We had 443 in 2002. In 2011 we had 1,072, down slightly from 1,115 in 2010. Our sales are on fire. Our prices leave a little bit to be desired, unless you’re the buyer. 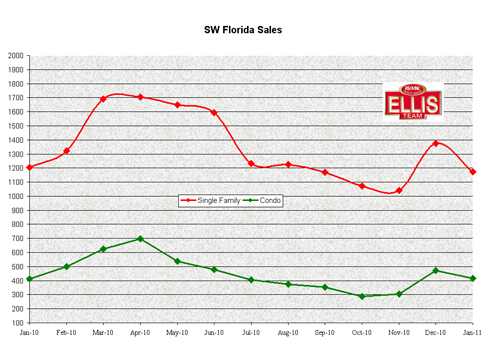 Buyers realize SW Florida is on sale and they’re buying as fast as they can. We can see light at the end of the tunnel, and prices should increase going forward. Just don’t expect 2005 pricing to come roaring back anytime soon. We’re looking for modest gains, and as Dr. Yun says, cities like Las Vegas and Fort Myers might even see some occasional surprises on the upside of pricing going forward. Take a good look at the graph. Headlines next week when official numbers are released may report that sales were down versus December numbers, and this would be true. 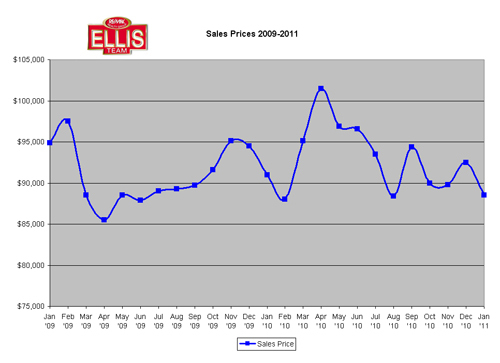 However, preliminary sales numbers we track indicate January 2011 sales mirror very closely January 2010 sales, and pending sales are on the rise again. Last year’s graph showed rising sales peaking in March and holding fairly steady through June. This seems entirely plausible as Southwest Florida typically experiences seasonality in the market, and the pending sales bear witness to potential closings going forward. Pending sales countywide in February aren’t quite at 2010 levels but they’re close. Currently we have 2,704 pending sales in the Greater Fort Myers and Bonita-Estero Association of Realtors MLS compared to 2,758. Pending sales in just Fort Myers and Cape Coral are off a little bit more, but in any event we expect to see rising closing numbers as we go through season. In fact, our Current Market Index now stands at 4.18, down from 4.66 last month. We developed this index to measure pending sales activity against inventory levels to determine strength or weakness in the market. In years past, sometimes sales were down simply because there were few homes on the market, not because the buyers weren’t ready willing and able. We account for this in our index. Banks have pulled many foreclosures from the docket until they have more time to check their paperwork; Most of these homes will eventually come back to the market. In a perfect world we’d like to see the banks increase their efforts in selling via short sale. Citi Mortgage and Bank of America have done this and are promising faster turnaround times. We have noticed a distinct difference in the turnaround times at Bank of America and Citi has a new program rolling out now. We’re keeping an eye on some interesting trends. Lehigh Acres distressed sales are continuing to rise to 73.85% of all Lehigh sales, while Fort Myers remained steady at 56.64%, down slightly from 57.19% the previous month. 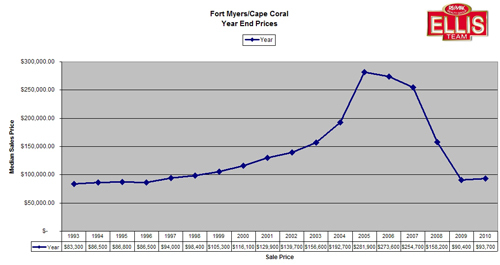 Cape Coral distressed sales were at 66.27% in January, up from 61.13% in December. We expect Season to be very strong again this year. The national economy is picking up a bit. It will be interesting to see how the economy, interest rates, and bank owned inventory affects the market in the 2nd half of 2011. The first half’s course is pretty well set. Marketing real estate has definitely changed over the years. We like to say it has evolved to meet the changing ways consumers react to seeking information. Some media are effective at reaching actual buyers and some not so much. When evaluating a marketing idea, we must first look at the target market, and whether its use will be effective in reaching that market. We’ve been sitting on a piece of technology for over a year we’ve been pretty excited about. We didn’t start using it until recently because we felt its application wouldn’t be realized by the masses, until now. As an agent we can be Leading Edge or Bleeding Edge. Last year would have been Bleeding Edge, so why introduce something until the public is ready? 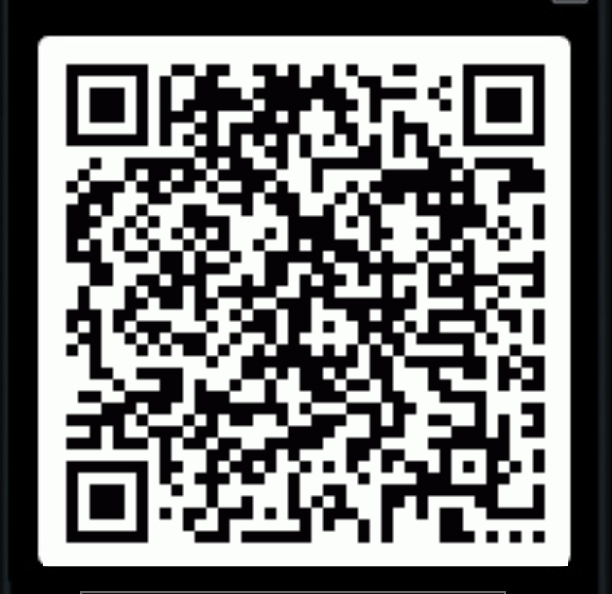 This new tool is called a QR Code. It’s basically a barscan format that allows a Smartphone to read a code and do something with it. The typical uses of a QR code are to direct someone to a website, to text message, call a phone number, or just text information. Google has promoted QR Codes so business can place a code in their store window, in print advertising, or on flyers or billboards so consumers can get detailed maps and directions to the business from their phone, store hours, and basic information about the business. Google even places QR codes now on Google Places accounts. 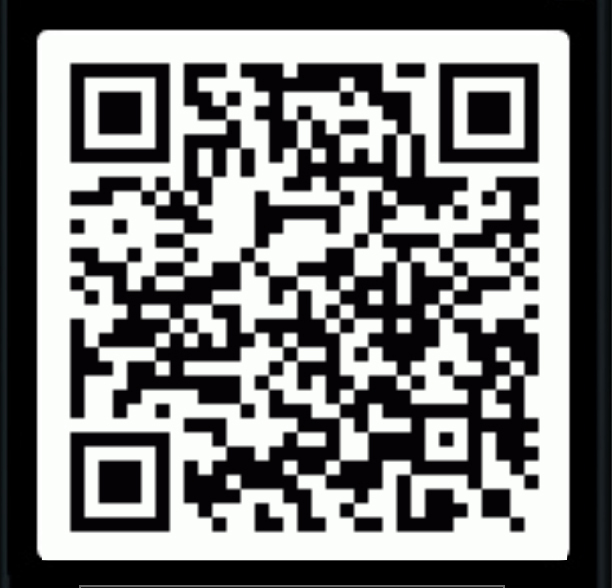 We’ve been placing QR codes in our newspaper ad directing people to our website, our Google Places account, and to our Virtual Tours of our properties. Agents can even place QR codes on their sign so prospective buyers can obtain much more information right on their phone, instantaneously. Anywhere you can print or display a QR code becomes potential business. The more information you place inside a QR code, the larger and denser it becomes, which means it will take up more print space. Certain readers have a hard time reading dense codes, so we encourage you to keep them short and to the point. Every technology has a purpose, and must not be overused in ways it wasn’t designed. A QR Code is best for someone who’s visited your business, at a property, or sees your message online. Its use is to provide information to a mobile user in a mobile world. Did you know that over 200 million people access Facebook via their mobile phone? Did you know 6.1 trillion text messages were sent in 2010. Did you know the mobile market is more than doubling every year? The mobile Internet is growing fast and will overtake the PC as the most popular way to access the web in coming years. So the question is, what do you do once you get them to your site? Is the site optimized for the mobile experience, or does it load just like a regular webpage that is hard to read on mobile phone. The people who solve this issue will win in a mobile world. So take out your phone and have some fun. The next time you see a QR code, you’ll know what to do with it. If you’re interviewing agents, be sure to ask if their utilizing this technology. Next year you’ll see the Yellow Pages incorporate this into their larger ads, and you’ll start seeing this code popup on more websites and more real estate signs. Make sure your Smartphone has a reader. 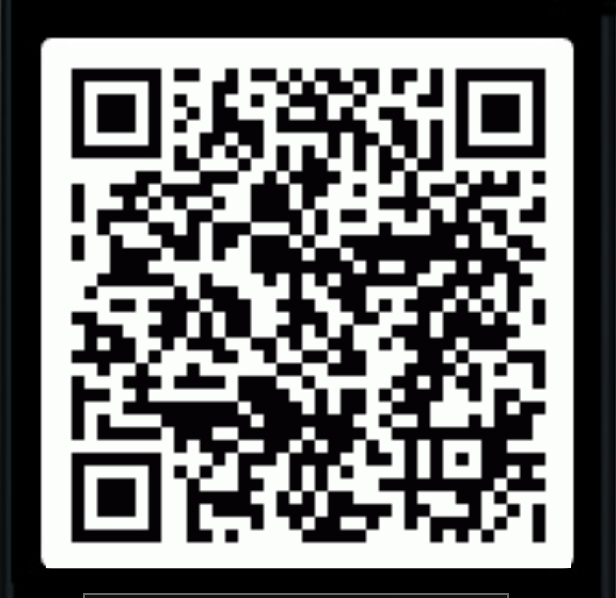 I recommend Barcode Scanner but there are dozens. It’s fun to price shop at a store with your mobile phone. This is especially neat when the store offers price guarantees. There’s no bigger thrill then when you whip out the scanner and scan the UPC code of the product and find out the store down the street has it for $20 less. The store you’re in will verify and match that price. Barcode scanner scans UPC codes and QR Codes. If you’ve never heard of a QR Code, or wondered what that funny looking graphic was next to a real estate ad in the paper, now you know. We’ve provided some examples. Good luck, and good scanning. Official sales numbers were released both nationally and at the statewide level, and the good news is SW Florida’s real estate median prices rose 3.65% from $90,400 in 2009 to $93,700 in 2010. Does this mean we’ve experienced the bottom and on our way up? The answer is possibly, as foreclosure sales have fallen and prices have risen in the lower end of the market. As this lower end of the market rises, which comprises a large part of the Lee County home sales, it automatically drives the median price up. Higher priced homes could actually be falling and also raise the media price up. You might ask yourself, how could this be? A Median price simply means that half the homes sold over a certain price point and half under. So in 2010 half the single family homes sold at or below $90,400 and the other half sold at or above this number. For the sake of illustration, let’s say 20 homes sold in a given month at $400,000. Now let’s reduce all the $400,000 homes down to $300,000. Do you think more would sell? Of course they would. So now let’s imagine the new bargains at $300,000 generated 60 sales instead of the previous 20. This could pull the median up from $90,400 to perhaps 93,000. I know this example is hypothetical. We also know there are less and less $50,000 homes, so as there are less home sales at the bottom end, and more above the median, the median price gets pulled from the top end and pushed up from the bottom. It is not however a great indicator of what could be happening at all price points. We’re not saying the $400,000 market is still falling, although it could be. What we know for sure is the bottom has firmed up. It feels like anything priced correctly today at $150,000 or less is firm. Priced correctly is the key term. Homes priced at $200,000 today were priced much higher several years ago, and we are noticing these homes selling too. In fact, we believe this season will produce more sales $150,000-$300,000 than we’ve seen the last several years. Northerners are just plain tired of the awful weather up north, and they realize home prices are great deals now and they’re becoming increasingly afraid they may miss out on the bargains. Speaking of inclement weather, this past week we had several buyers place offers from up North and they commented they just couldn’t take it anymore. Several agents I’ve spoken with shared similar stories, so the bad weather up North may be good for business down here. 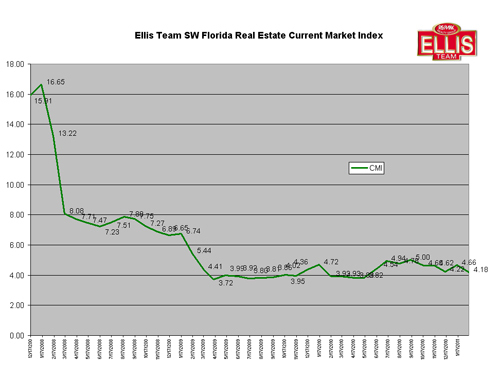 As you can see by the graph, SW Florida home prices are at 1997 levels. This sure is a steep curve on the downside but the worst may be over. We believe there will be more foreclosures, but it feels like we’re at about the 7th inning. Most of the investors have already lost their homes, and now we’re down to average people who have lost a job, or lost household income and cannot afford the payments, and they just cannot sell at today’s prices. How much more of these we see will depend on the national economy and how long the recession persists. Uncertainty in the Middle East and oil prices will be a wild card, so let’s all hope for Egypt, Tunisia, Jordan, and anywhere else to remain calm and shipping lanes open. Banks look like they’re bulking up to increase short sale business, although we’ve heard the talk before. We can say Bank of America has been much better to deal with recently and we’ve gotten several short sales approved and closed. It would be nice if other banks sped up their processes too. Inventories actually rose in December despite an increase in distressed closings due to backlogs. We expect this inventory could go down; however we believe there is much shadow inventory. Many refer to banks holding back properties from the market as shadow inventory, but the shadow we’re referring to is regular homeowners who would put their home on the market if they could, but they just can’t because they owe too much and can make the payments. There is now way to measure this, but typically most in SW Florida would move around every 3-5 years, and people just haven’t been doing that these past five years. The reason: See Graph. We’ll be coming out with a new SW Florida Real Estate Video update, but until then you can view our December 2010 Video Update.